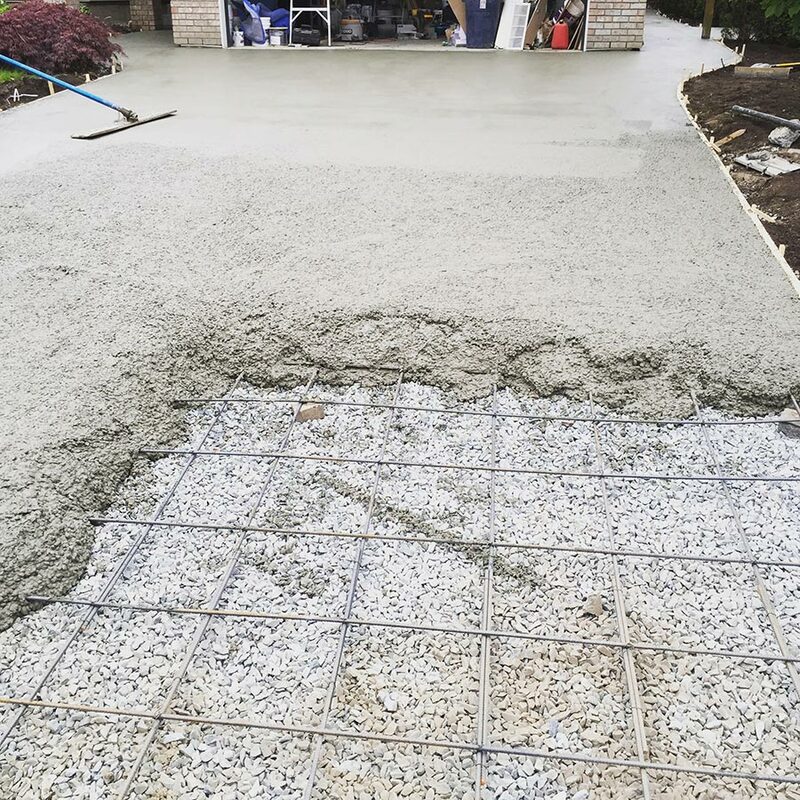 Atlas Bobcat is a full-service concrete contractor specializing in driveway construction. We serve Metro Vancouver and the Fraser Valley. 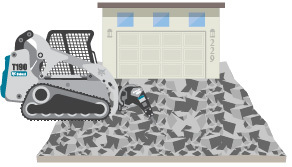 Contact us to learn more about our driveway demolition and construction services. 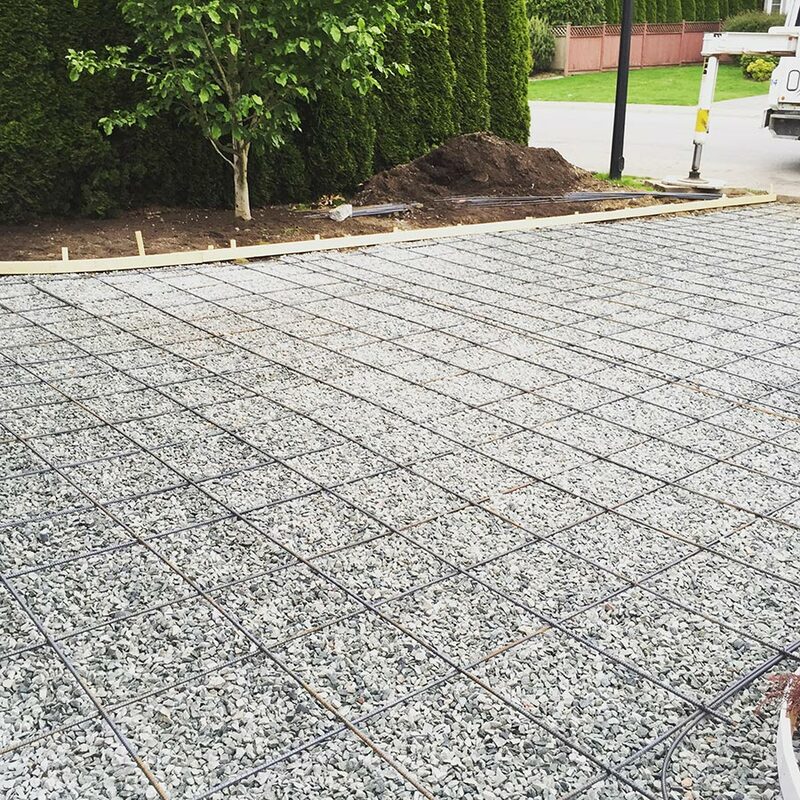 Does your concrete driveway need some love? 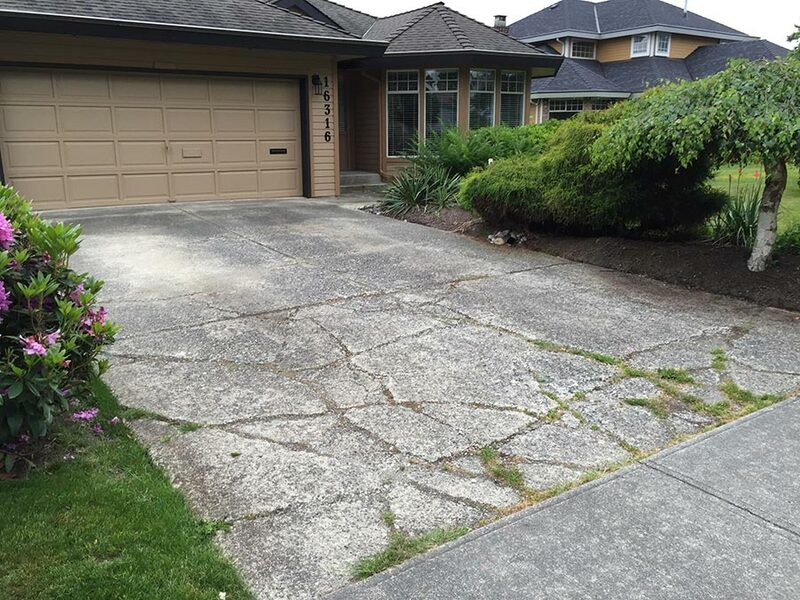 Summer is the ideal time to replace your badly cracked driveway. Our friendly and experienced team is ready to help you pick the right colour, design, pattern and finish to suit suit your home. 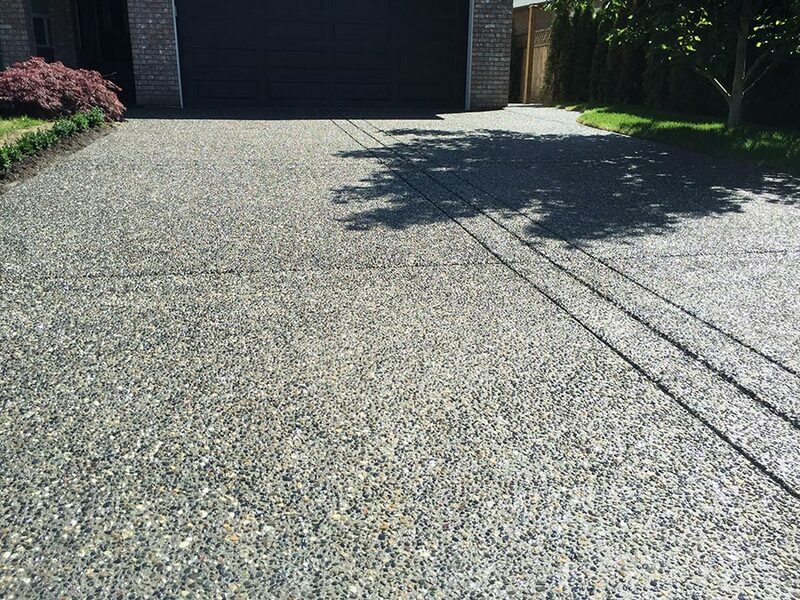 Through our expert process, we will remove your aging, weathered, or poorly installed driveway, and replace it with one that is beautiful and professionally constructed. We work with concrete, ashphalt, cobblestone and more to get the beautiful finish you’ve always wanted. 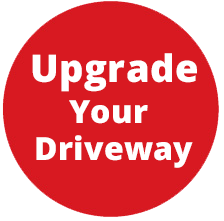 Are thinking about a driveway construction project? Check out our process below and our instagram feed for images covering the process. Please contact us directly if you would like an estimate or more information. You are not alone, driveways crack for a number of reasons. age, weather, poor workmanship and installation are just a few of the more common reasons. 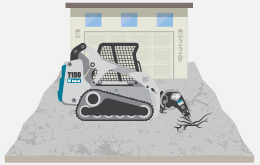 This is done quickly and efficiently using a large concrete breaker mounted on a Bobcat. Next our crew will load all the broken concrete into a dump truck to be hauled away. All concrete is recycled into crush that will be reused. After the concrete is removed, a few inches of the dirt “base” will be removed. This allows our free draining ¾” clear crush to be added. 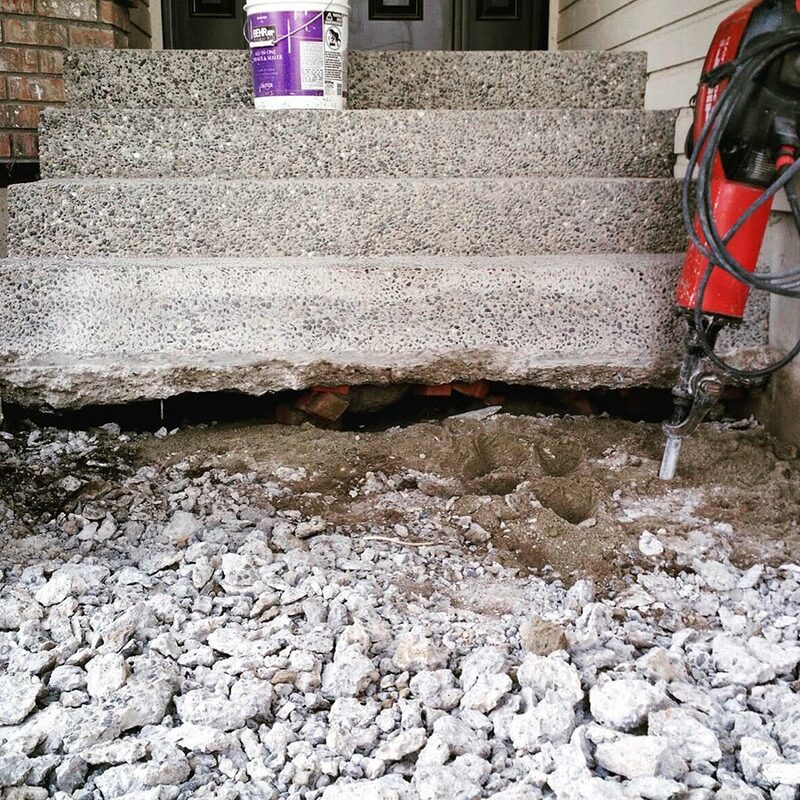 This is a critical step that allows water to freely drain away and prevents freezing of water under the new concrete driveway which could cause cracking, sinking or lifting. Lastly with all the preparations complete the chosen concrete can be placed. Colors, designs, patterns and finishes are endless. After all is complete, we add a sealer to not only protect the new finish, but also to enhance the look of the concrete. What you get from an Atlas Bobcat driveway. Professional, courteous staff through the entire course of construction. We are an insured, and skilled Bobcat company. Safety is paramount. 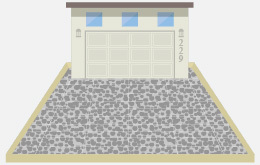 We believe that a great base makes a great driveway All our driveways get a minimum 2” of free draining gravel. All our driveways get rebar. This produces the best product at all stages. We are committed to excellence. 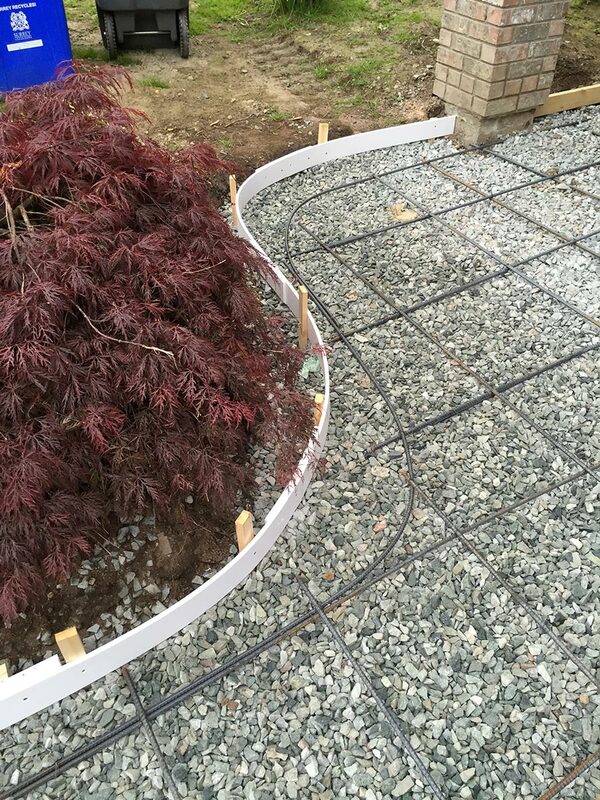 This allows us to be able to address any other issues that may arise such as drainage or landscaping and complete them efficiently and safely. This is critical to giving the water a place to go. By doing so aids in avoiding frost and freezing cracks. Concrete can crack. 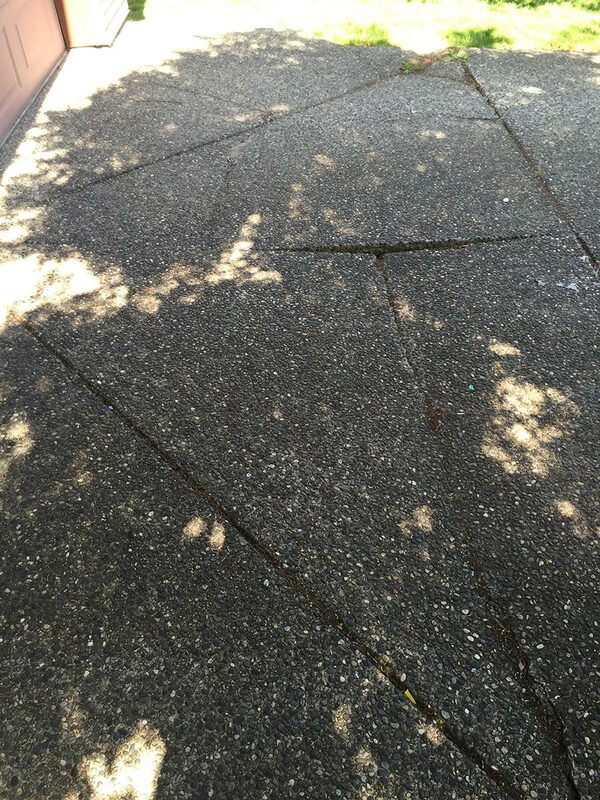 Cracking is natural in concrete, but by using rebar it allows the concrete to remain connected and allows any cracks to remain less noticeable. 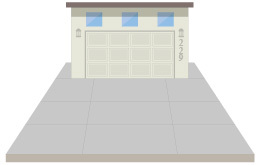 We guarantee minimum 4” of concrete and often our driveways are closer to 5” thick. At Atlas Bobcat our skilled crew goes to great lengths to create beautiful long lasting driveways. However, no concrete contractor can guarantee that a crack won’t from in a new driveway once it is finished. The Atlas Bobcat crew prides itself in placing concrete on a sound base and providing correct joint control lines to “direct” the cracks. 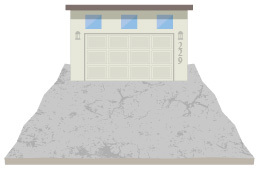 Even with all if the correct procedures in place, a stray crack can form in your new driveway. While it may seem like a faulty installation, it is an unfortunate joint that the concrete needed. These stray cracks are not often signs of bigger problems and Atlas Bobcat in not responsible for stray or random cracking. 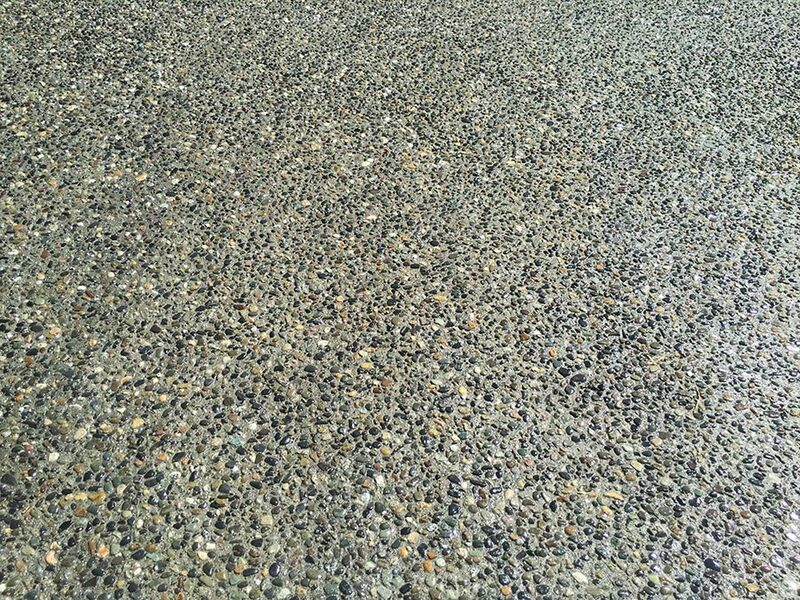 While choosing custom colors for your new driveway, it is important to remember that while our color system is pretty accurate, discrepancies can occur between brochure color swatches and the finished product as well as from load to load of concrete. Our concrete suppliers do their best to provide consistent colors, but Atlas Bobcat will not responsible for variations in the color.